Documents - Resources for coaches and teams - Please READ!! Also - the VEX FORUMS are another great resource. There are sections on robot design, programming, and team organization. A completed consent form for all participants must be turned in during check-in. Team leaders will need to collect the completed forms for all team members attending the event and turn them into the registration desk when checking in. Download the VEX/ REC Foundation Consent & Waiver Form HERE. This event is sure to be a fast-paced and exciting event. All teams should come prepared for a full day of competition. Here are a few steps that every team should take to ensure that they are prepared. 1. Do a final review of the rules and run through the inspection checklist about a week before the competition so that there is ample time for adjustments. The inspection checklist can be found here. 2. Check the official VEX forums for rule updates and changes. Check this often during the season. 3. Pack for the event the day before the day of departure. Here are a few items that you don't want to forget. 4. Be sure to read 101 Things You Should Know Before Your First VEX Tournament. 5. Review the descriptions and criteria for the awards that are being given during the tournament. 6. Prep for your interviews with the judges. 7. Remember that safety comes first, please don't bring tools that pose a safety risk to your team, or others nearby as the venue is a very tight fit. Also, remember no grinding or other actions that create sparks!!! Mineral Area College is located approximately 60 miles, or one hour, southwest of St. Louis. The college is located just off Highway 67 at the Leadington-Park Hills exit. From North: Take I-55 South to Exit 174b (Hwy. 67 - Bonne Terre/Farmington). Continue on Highway 67 South for 30 miles. Take the Park Hills/Leadington exit. Turn left and Mineral Area College will be on the left. From South: Take I-55 North to Exit 150 (Hwy. 32 Ste Genevieve/Farmington). Turn left onto Highway 32 and continue for 21 miles. Turn right at the stop light onto Karsch Blvd. Continue on Karsch Blvd. for 3 miles and then Karsch Blvd will turn into Highway 67. Make a slight right on to Highway 67 North and continue for 3 miles. Take the Park Hills/Leadington exit. It will be the second Park Hills exit. Turn right and Mineral Area College will be on the left. Park in Lot C, directly across the road from the Field House. There is a flight of stairs down to the level of the gymnasium where the pit area and fields are. There are no elevators in the field house. The pit area is located at the lower level on the gym floor. For loading and unloading, you might want to use the entrance at the gym floor level around the back of the building. The front doors open into the main seating area, above the gym floor. Please only register teams that you expect will attend the event. We had a waiting list in 2017 and expect that we will have one again this year. Refund checks for teams that have to cancel before the registration deadline will be sent by the end of April. Teams that withdraw from the competition after the registration deadline will NOT be issued refunds. No cancellation for bad weather. Volunteers are needed for set up and tear down of this event!!! We are asking all teams to provide assistance on Friday afternoon and evening to help set up the fields and pit. We will start set up at 3pm. The more volunteers we have the quicker we will be finished. Please let me know how many volunteers you will have at the field house on Friday afternoon and/or evening. THANK YOU!!!! The 2019 Mineral Area VEX Challenge is an event that takes place during the annual Robot and Technology Expo on the campus of Mineral Area College. It is an opportunity for youth to demonstrate their learning, celebrate their accomplishments and interact with others who share their interest in robotics and programming. 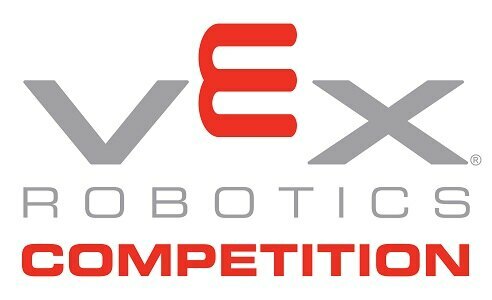 There will be a VEX Turning Point competition, VEX Skills Challenge Competitions, VEX IQ Exhibition opportunity, and many exhibitions and workshops. Youth may participate in one, some or all of the events. Many organizations have been invited to set up demonstrations and hands-on activities related to robotics, technology, and programming. This event, which takes place late in the competition season is great for teams who want a challenging final competition experience before attending the World Championships, or a relaxed event with lots of fun, extra activities. There's something for everyone.